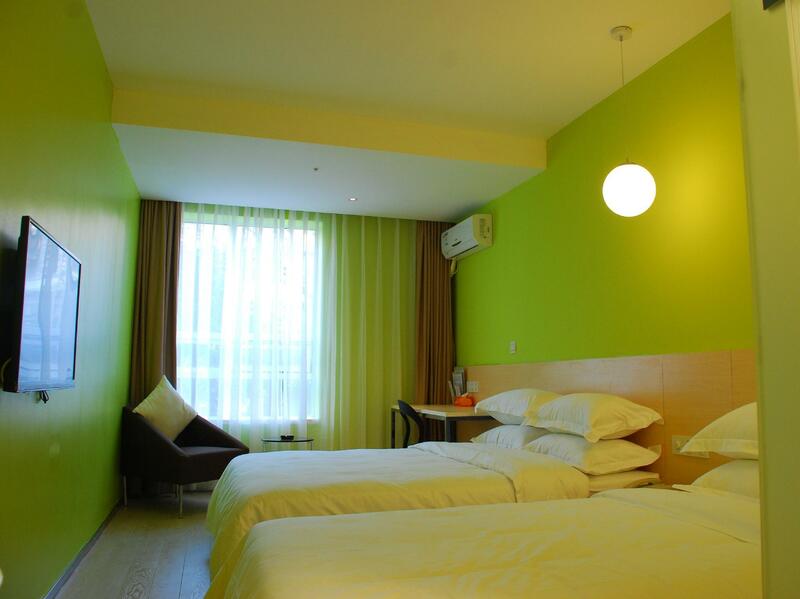 Имате въпрос към Colour Inn Shenzhen Shekou Branch? Независимо дали сте турист или пътувате по бизнес, Colour Inn Shenzhen Shekou Branch е перфектен избор за настаняване в Шeнжeн. Този 2.5-звезден хотел е леснодостъпен, тъй като е само на 38.4 KM от летището. С удобното си местоположение хотелът предлага лесен достъп до всички градски забележителности, които задължително трябва да се видят. 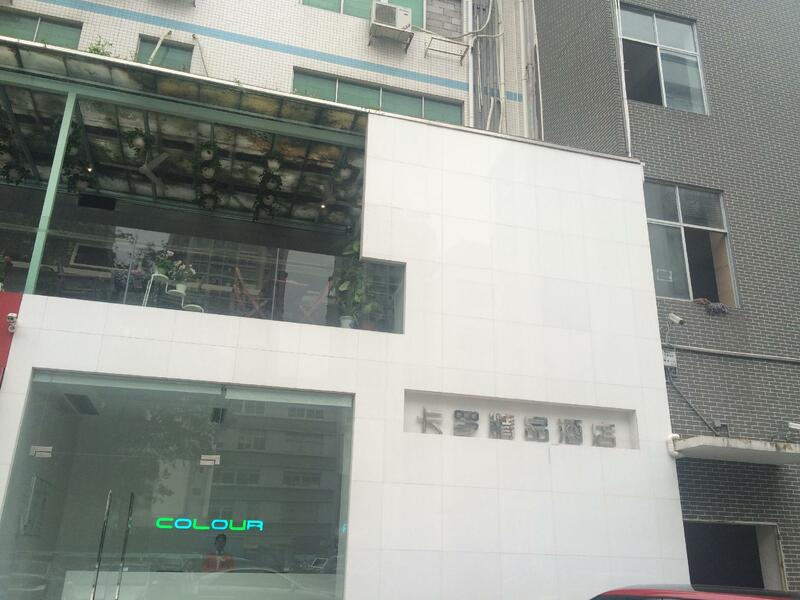 Colour Inn Shenzhen Shekou Branch също така предлага много съоръжения за обогатяване на Вашия престой в Шeнжeн. Докато са отседнали в този чудесен хотел, гостите могат да се насладят на безплатен WiFi достъп във всички стаи, 24-часова охрана, ежедневно почистване, индивидуално настаняване/напускане, 24-часова рецепция. Насладете се на висококачествените удобства по време на престоя си тук. В някои стаи са на разположение телевизор с плосък екран, стойка за дрехи, спално бельо, шкафче с ключ, пантофи, които ще помогнат на гостите да релаксират след дългия ден. Освен това в хотела можете да се възползвате от множество предложения за приятно прекарване на свободното време. Каквито и да са поводите за Вашето пътуване,Colour Inn Shenzhen Shekou Branch е най-доброто място за престой, което можете да изберете в Шeнжeн. Dear guests:thank you for taking time to sincerely evaluate the hotel and check in feedback.welcome your next visit! Great hotel as usual, experience depends on staff, this time they were very friendly and caring. I hope the hotel continues to improve. Distinguished guests.Than you very much for choosing COLOUR boutique hotel.Your satisfaction is our greatest honor.Looking forward to your next visit. This place has really gone downhill.. on the paper they gave us they WROTE "check out at 14:00" .. so guess what, we come to check out at 14:00 the next day and they say "no, you are late, you were supposed to check out at 12pm" "Okay, but you wrote here 14:00" "we don't care, we're charging you money because website said otherwise" And they actually kept our deposit, because of THEIR mistake! Blacklist this hotel at all costs. We are very sorry for the inconvenience brought to you.It is not hard to see from your comments that you are already an old friend of COLOUR,which makes us feel honored and sorry at the same time.There is a reminder on the website that the check-out time is 12:00 at noon .We are very sorry that we did not explain the check-out time to you.We will certainly strengthen the investigation of service problems. This place has really gone downhill.. on the paper they gave us they WROTE "check out at 14:00" .. so guess what, we come to check out at 14:00 the next day and they say "no, you are late, you were supposed to check out at 12pm" "Okay, but you wrote here 14:00" "we don't care, we're charging you money" And they actually kept part of deposit!! Because of THEIR mistake. Blacklist this hotel at all costs. Distinguished guests:thank you for taking the time to sincerely comment on the hotel and check in feedback ,welcome your next visit! I have tried many budget hotels in Shenzhen but this is the best experience so far. Clean, practical, good location. Even service with a smile in the reception, a few words of English also which is extremely rare. The room had no window, stank of dampness, and they tried to charge me a second time on top of my pre-paid Agoda booking, but these are all things you have to live with in China. Thank you for your valuable advice to our hotel.Carol's 24 - hour personal butler service and every smile of carol's employees reveals the Caro's professional qualities, and the pillow problem that you review, I have reported to the company, and I believe that the company will have a solution in the near future. Thank you for your valuable advice; Finally, I wish you a happy life, smile often and look forward to your coming again, thank you! I will be staying here on more weekends. 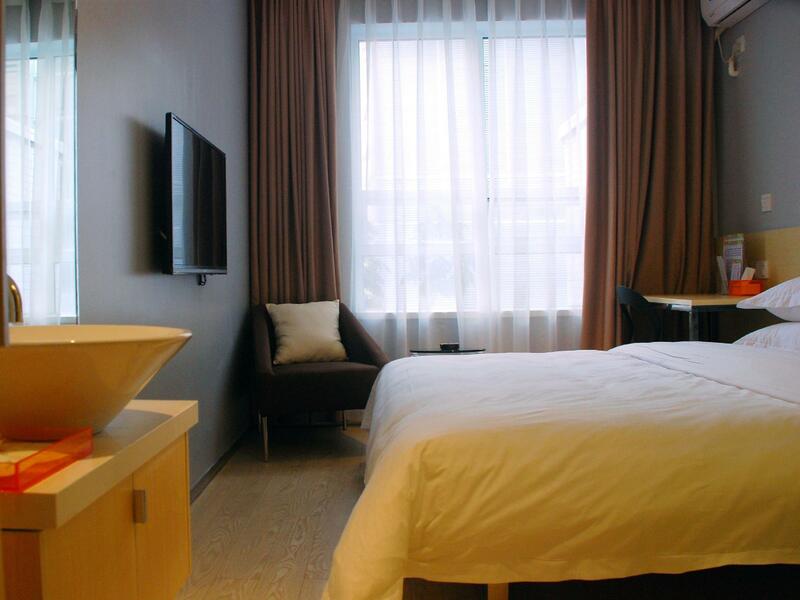 Very cute, clean hotel with a surprisingly modern finish and amenities provided. SOFT bed unlike the rest of China. Location is still 15 mins walk from Seaworld proper but still a nice plaza area around there. I'm very sorry that you didn't get a satisfactory check-in experience. I think it should have been your check-out time, but the front desk staff couldn't notify you of check-out from the phone before they made the choice of knocking at the door to remind you. I hope you understand. What kind of hotel has staff calling you continually knocking on your door babbling to you in Chinese to check out *an hour* before checkout time? What kind of hotel has staff knock on your door babbling to you in Chinese to check out well before checkout time? Completely distracting. Thank you very much for receiving your suggestion. We will strictly monitor the hygiene level of the housekeeping department again. Colour Inn is fine as usual, but the staff they have hired recently have undergone zero training whatsoever, unable to find your reservation, claim you didn't pay, they even gave a French guy a room which already had people in it!! Even called me in the morning to see if I was checking out, when I wasn't even checking out that day. Facilities somewhat falling apart. Hello, sir. I am sorry that the new employee has brought you unqualified service. I apologize for this. Colour will strengthen training for new employees and hope you will have a better service experience next time. Thank you for your feedback on the hotel service. Colour Inn is fine as usual, but the staff they have hired recently have undergone zero training whatsoever, unable to find your reservation, claim you didn't pay, they even gave a French guy a room which already had people in it!! Even called me in the morning to see if I was checking out, when I wasn't even checking out until the next 2 days. Colour Inn is fine as usual, but the staff they have hired recently have undergone zero training whatsoever, unable to find your reservation, claim you didn't pay, they even gave a French guy a room which already had people in it!! Even called me in the morning to see if I was checking out, when I wasn't even checking out for another day. This place has been excellent for overnighting near Shekou. Now it starts to deteriorate as usual in China, housekeeping is not to standard, greasy surfaces, rooms start to look worn and tacky. Still, the best place I know of in the price range, and the front desk staff can speak a few words in English. Hello, sir. Thank you for your appreciation of the hotel. We will continue to strengthen the requirements of the housekeeping department and improve the service standards for the front office staff. Expect you to have a better service experience next time. I'm a bit surprised by some of the other reviews, such as the person who said he/she goes to this hotel every weekend. The rooms have no windows, it's tough to find the first time, and there's nothing special about it. That said, if you need easy access to the Shekou area and a cheap place to stay while there, it's fine. 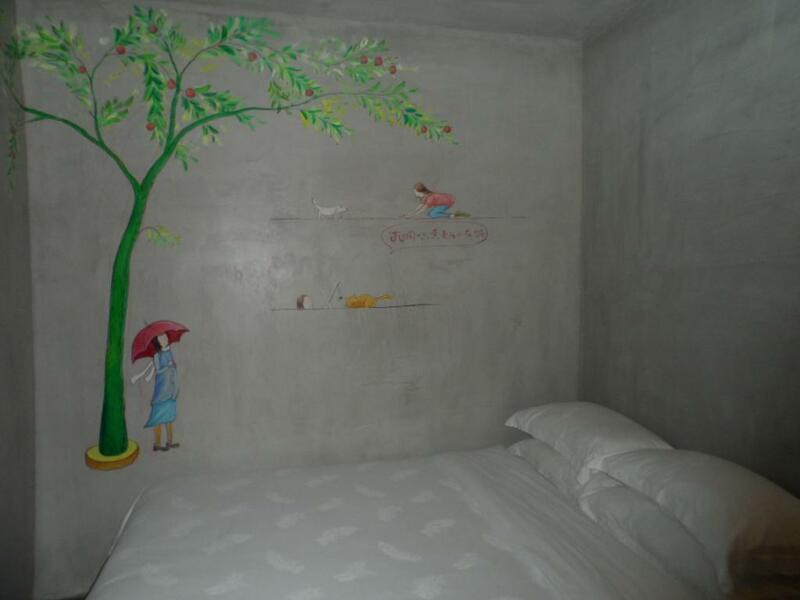 It's clean, the Wi-Fi works, and the subway station (Dongjiaokou) is about 10-15 minutes' walk away. I wouldn't look forward to another stay there, but I would stay there again if I had business in that area. Thank you for your evaluation of our hotel, your praise is our driving force. We will continue to work hard to create a more comfortable accommodation experience, so that you can sweep the journey tired, vitality again! We look forward to your stay again! i stay in the room with a window. everything was great. the room was colorful and lovely. even though it is located not far from stations and not far from big streets, the surroundings are quiet around the hotel. i will make the same choice, if i vosit shenzhen.